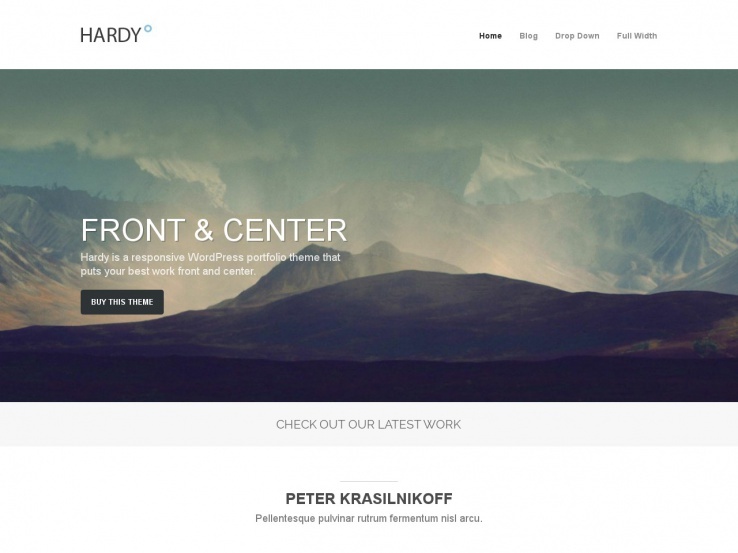 Every year delivers a new wave of beautiful WordPress themes, and this year is no different. 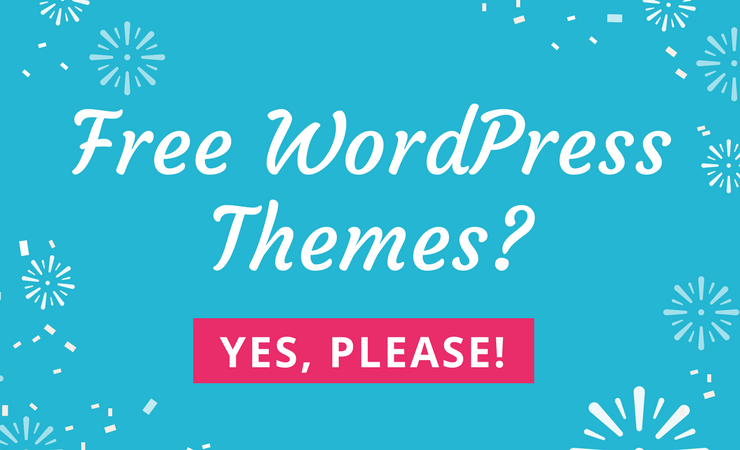 From free options to paid, these are the best of the best, so get your bookmarking buttons ready to save this list for when you next need a WordPress theme. The reason we like putting together these lists is because some themes simply stand out from the rest of the crowd, and it’s useful for developers to have a list of the ideal themes that they can implement on their client websites. What’s more is that folks who run blogs and other business websites are constantly looking for new features and tools for re-branding and establishing a stronger bond between them and customers. Another thing you’ll notice is that an old theme may not have the cool new settings and features that are common with new releases. For example, if you bought a theme ten years ago, it may not have the responsiveness that is basically expected of just about any website online. 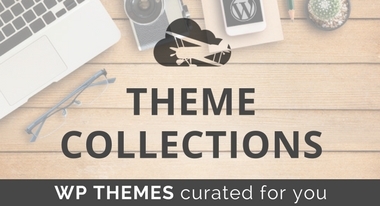 Furthermore, the world of WordPress themes is packed with options for you to choose from. Where do you start? What elements are necessary for your business to be successful? The answer is not always that clear cut. Therefore, it’s wise to have a list of the best WordPress plugins so you can at least sift through the madness and understand which of them are at least lightweight, modern and stylish. Therefore, you won’t be second guessing yourself when on the checkout page. The themes below represent the best out there, so do yourself a favor and save the ones you find appealing. Some of them are great for niche industries, while others have what it takes to adapt for just about any company. 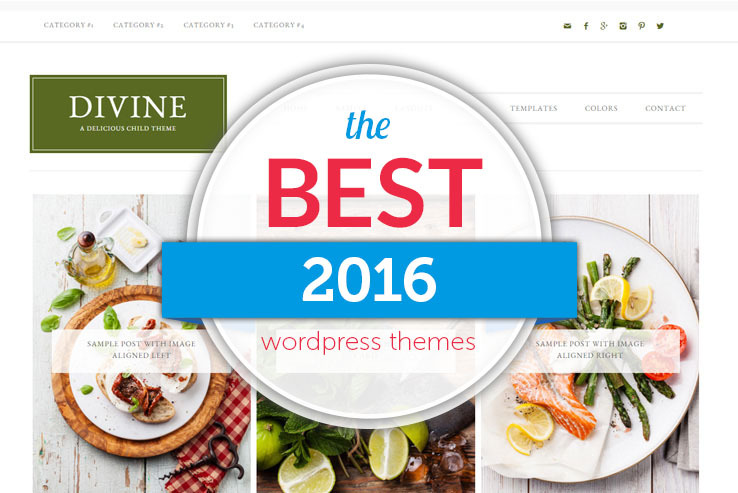 Regardless, keep reading to learn about the best WordPress themes of 2016. 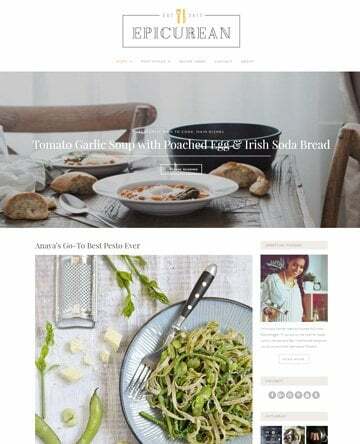 The Juniper theme is another favorite, considering it offers a beautiful one page design with a responsive layout for checking out blogs, videos and other content on tablets and phones. The parallax items are wonderful for showing people your creative side, while the one page layout includes various rows and elements that are great for presenting what it is your company does. 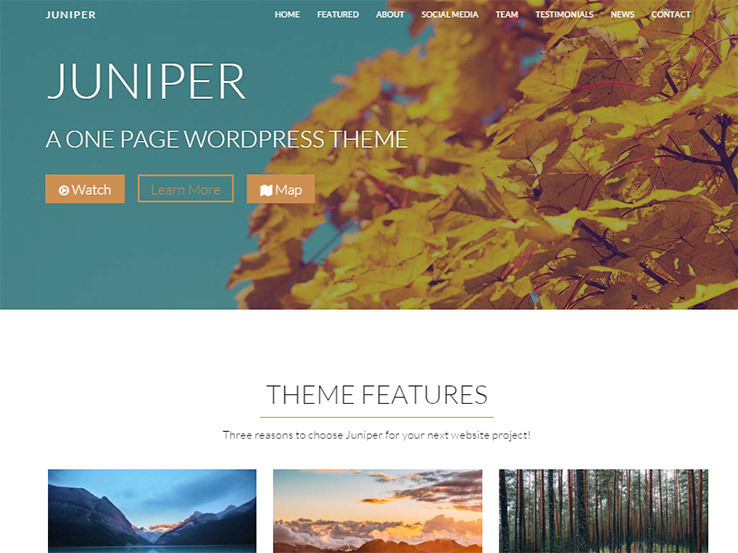 What exactly makes the Juniper theme one of the best of the year? Well, to start, the header area is wonderful for implementing video or static images. You can show off social media buttons to build your followings, while also posting testimonials from people who really liked your services in the past. Talking about your team members is a nice way to show your appreciation. This also displays that you have a more personal side to your business. A latest articles module is provided with the Juniper theme, meaning that you don’t have to worry about posting your blog articles in certain areas of your website. It’s all organized for you in a grid-based, professional layout. Along with a contact form, several widget areas and a sleek one page design, the Juniper WordPress theme stands out from the thousands you can choose from. 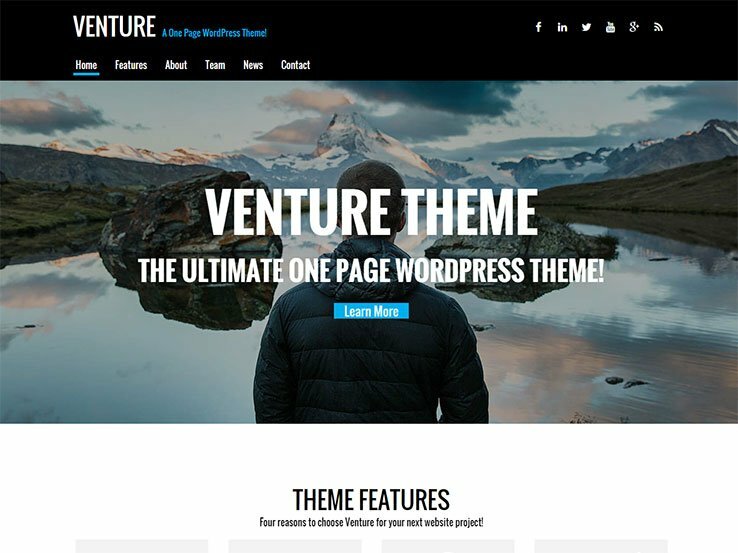 The Venture Theme serves as a powerful theme for creative agencies, bloggers and freelancers, and it packs quite a punch for a simple one page WordPress theme. Starting off, the theme has responsive elements, which is a must have in today’s mobile world. In addition, the Venture Theme provides ongoing updates so that you know your website is secure and with the best features. Shortcodes and scripts are packaged into the theme, enabling you to develop quick elements like buttons and tabs, all without implementing a lick of code. The Font Awesome icons are a nice bonus as well, considering they turn your site into a more visual environment. If the default color scheme doesn’t match your branding, you can instantly change that on the backend. In addition, the photo friendly layout presents all of your images in a beautiful format. Typography is simple to master on the Venture Theme theme, as you can change around your fonts with the various Google Fonts options. Social media is integrated with the theme as well, pushing people to share your posts, while also building follower counts on places like Facebook and Twitter. As with many one page WordPress themes, you have several rows to choose from and customize. For example, one of our favorites from this theme is the features section, which combines with icons and text to ensure that people understand what your company does. The parallax backgrounds help grab attention, while the large header takes up most of the screen space to show off call to actions and buttons. Inform customers on who’s working behind the scenes. This is done with the help of the “Meet the Team” row, which reveals images, social media links and images from your employees. 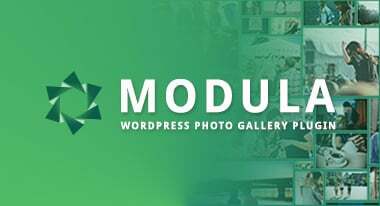 A module is available for featuring testimonials, and a latest articles section works wonders for referring people to the great content you have on your blog. Along with a contact form and beautiful sliding effects, the Venture Theme is one of our top suggestions for 2016. 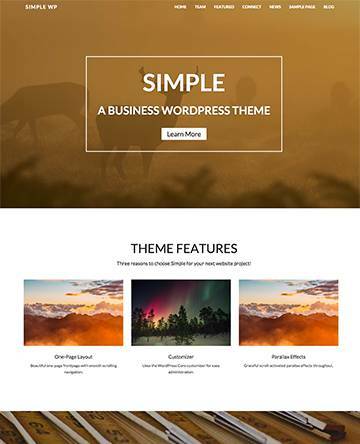 Consider the Business theme if you’d like a more professional looking one page theme. This provides a row based layout, using a grid-style blog and various other elements that organize your content in a reasonable manner. The responsive nature of the theme is great for people who may have their phones or tablets and want to access your website. You also get some parallax shortcodes, which looks great without weighing down your website. Tons of layout and slider options are available. Not to mention, the row based front page has a wide variety of options that we’ll cover in a bit. The Font Awesome icons are wonderful for showcasing your services with some imagery, while the stacked blog layout looks somewhat like Pinterest, and it allows for people to quickly find the content that seems most relevant to them. The Google Fonts typography solutions are handy, and the several social media buttons can be placed through your site, without needing to install a third party plugin. What are some of the content rows to expect with the Business WordPress theme? Starting out, you’ll notice a beautiful slider with overlaying text and buttons. This comes in handy if you want to send users to other parts of your site, such as a product or landing page. One of the rows is setup with columns and icons, and most companies use this area for talking about services. Testimonials look great on the Business theme, since you can feature images of your past clients, along with quotes about why they loved working with your company. Since most of your customers will want to see more details on your services, the Business theme has a tabbed Services module, so people can flip through and learn about what each service entails. Along with a team member bio section and a highly widgetized footer, you have plenty of options to meet your customers’ demands, all without having to go crazy with plugins or clunky themes. If there was an award for being on the most WordPress theme lists, Divi would most likely win it. This is a product from the folks at Elegant Themes, and it’s pretty much considered the company’s pride and joy. Why is this the case? Because users are able to make any type of site with the tools. If you’d like to build a stunning mommy blog. Go right ahead. If you’d rather sell shoes through WooCommerce, all the tools are there for you to get going on your project. Although you must pay for an Elegant Themes membership to gain access to the Divi theme, this rate is generally what you would have to pay for most premium themes. When you buy the theme, it gives you a beautiful drag and drop editor, with dozens of modules for placing things like sliders and tabs. Over 18 premade layouts are included with the purchase, meaning that some companies hardly have to do any design work after uploading Divi to the WordPress site. This is great news, considering both beginners and advanced users would rather cut down on development time. 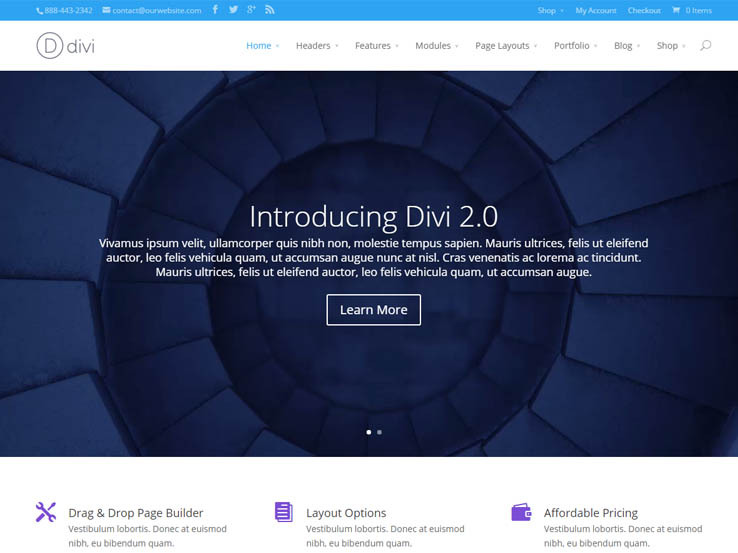 The Divi theme is completely responsive for viewing on smaller screens, and it has around 46 content modules. Since these modules help out with lots of companies, we’re going to cover what some of them do for you. For example, the testimonials module is great for showing off what people say about your company. The video module makes it so much easier to implement Vimeo and YouTube videos. You can also find modules for things like number counters, full width post sliders, portfolios, pricing tables and more. The general settings are super easy to play around with, but don’t think that the folks at Elegant Themes forgot about the more advanced users. They included a custom CSS field, just for those who are looking to really customize what it is the Divi theme can do. Overall, Divi comes in as one of the top solutions in the year of 2016. 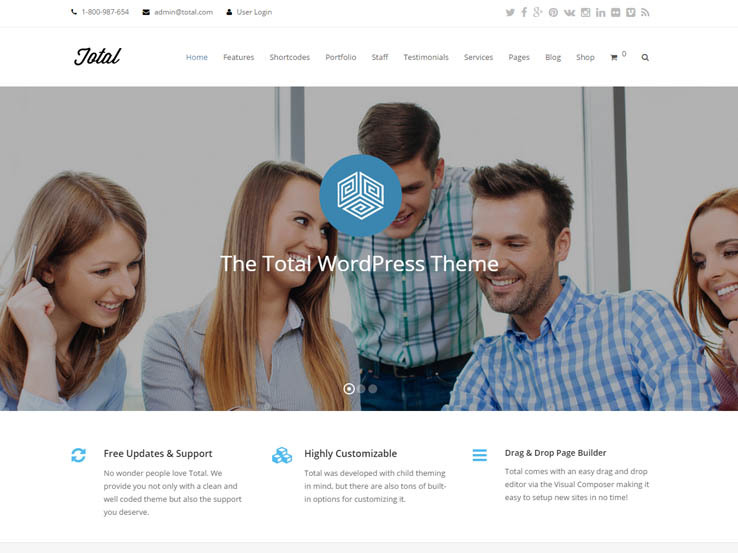 The Total WordPress theme is the ultimate drag and drop design, with beautiful website elements to place throughout your website on the backend. The glory of the theme is that you don’t have to touch a line of code when making your development moves. All it takes is a curious mind and some time to adjust the drag and drop modules. The theme is completely responsive, which is ideal for users who come to your site when they’re on their mobile devices. Many of the people that come to your blog are going to be viewing on phones and tablets, so it only makes sense to cover this area. What else can you expect from the Total theme? 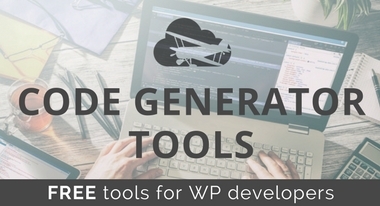 Well, $83 in premium plugins are packaged in to the template, including the Visual Composer plugin, which is how you’ll gain access to the drag and drop functionality. 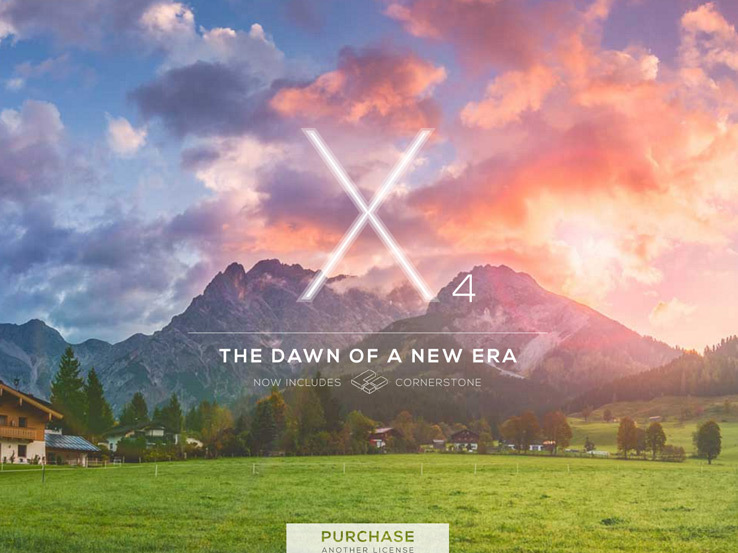 The Revolution Slider plugin is another option, which is perfect for setting up a slider on the homepage. WooCommerce integrates just fine with the Total theme, bringing about tons of opportunities for selling digital and physical items. All you have to do is connect the theme to a payment processor and post your items. After that you can bring in money for your efforts, or even expand to a full-fledged online store. The demo imports are pretty impressive, and it only takes a few seconds to implement the ones you like. An events calendar is there for announcing information about upcoming events and promotions, and the bbPress plugin combines nicely with the theme for the ultimate forum solution. X- The Theme has a rather intriguing name, and the design is even better. It’s one of the best selling options on the market, and the multi-purpose construction ensures that you can make anything from online shops to simple blogs. The theme is completely responsive for viewing on smaller devices, and it comes packed with tons of extensions. For example, you can play around with extensions like Layer Slider, Essential Grid and Content Dock. The MailChimp integration is one of our favorite features, because it quickly gets implemented on your site for collecting email addresses from the people on your site. After that, the emails drop directly into your database for sending out newsletters for promotions and events. The Disqus and Facebook comments improve how you interact with your customers and readers, considering every time you share a post people can leave their comments. The Visual Composer plugin supplies an incredible layout for building the website on the backend. Basically, it comes with plenty of beautiful website elements that you can drag and drop onto the modules on your site. Along with live chatting, multiple slider plugins and a smooth scroll feature, the X theme is clearly one of the best options on the market. What’s more is that you don’t have to pay that much money for a template that can result in thousands of unique layouts. The Supernova theme has it all in terms of design. The full-screen slider and overlaying calls-to-action provide parallax features and stunning resolution to grab the attention of your visitors and send people to the best content. The amazing picture boxes frame your media for the “big time,” and the amazing responsive and retina displays ensure that anyone can view your website from any device. We like this theme because you can implement a video in the header and the shortcodes are useful for anything from Slider Revolution to Google Maps, YouTube videos, to custom HTML. 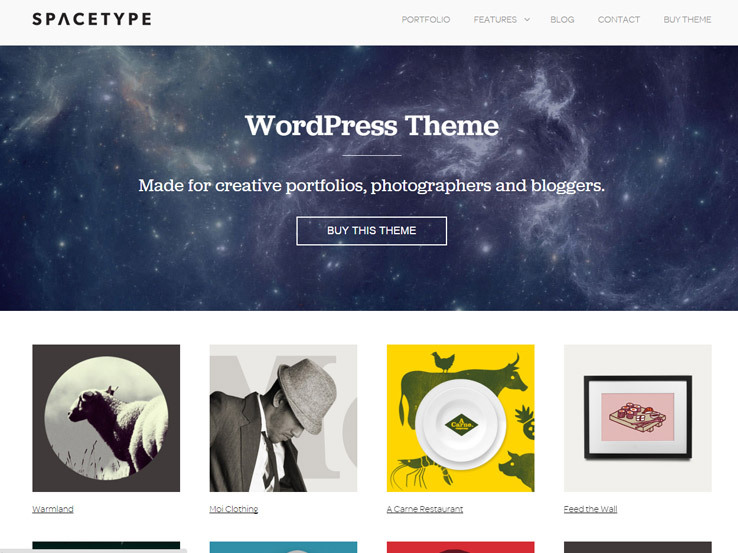 The Spacetype WordPress theme provides a responsive and multi-purpose design for portfolios, photographers, and serious bloggers. The parallax header has the ability to implement buttons and text for sending people to your sales pages and the portfolio area is super clean and easy to navigate through. Use the boxed sections and shortcodes to customize the look of your website. The theme even comes with a complete one-page version in case you would rather have all of your content on a single page. You can even choose from a specialized photography version instead of the more general default layout. 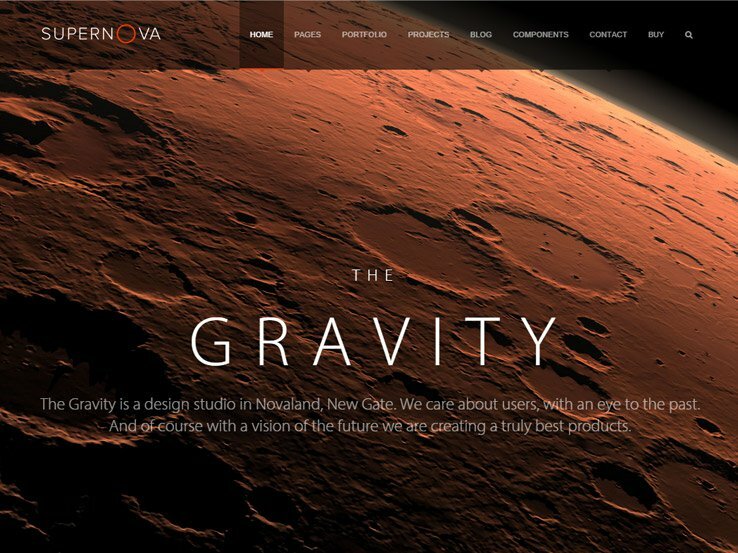 The Zero theme is a multi-purpose theme best used for portfolios, business sites, and photography gallery. The theme comes with full WooCommerce integration in case you want to start selling your own products or prints. 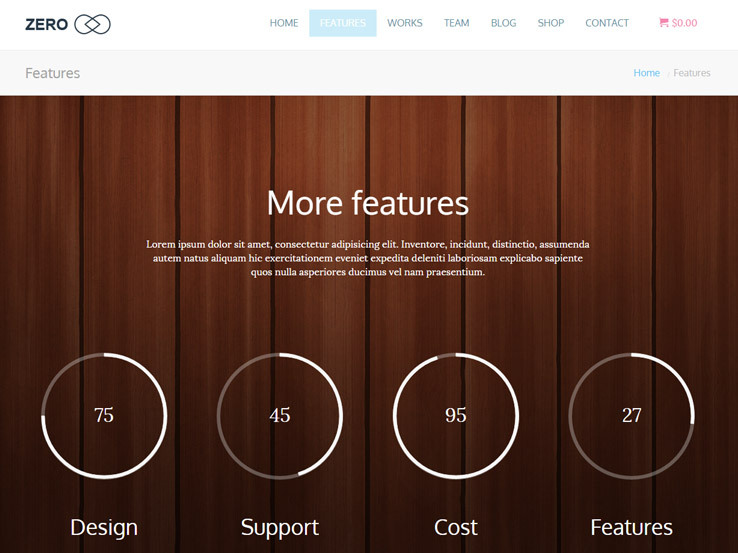 The theme is packed with premium plugins such as Slider Revolution and the Visual Composer. The responsive design runs off the Tesla framework for the ultimate customization. Use one page or switch to multiple pages, depending on your needs and the complexity of your content. Customize the colors and fonts to match your branding identity. If you enjoy clean portfolios themes, Hardy is a nice choice. With its minimal layout, the theme focuses on eliminating all distractions and putting your content front and center. The responsive layout has a quick logo upload and you get video support for using YouTube and Vimeo. Try out the Google web fonts to locate the ideal font for your brand and check out the button shortcodes for modifying the colors and placements. The slideshow shortcode is another nice way to showcase your work. 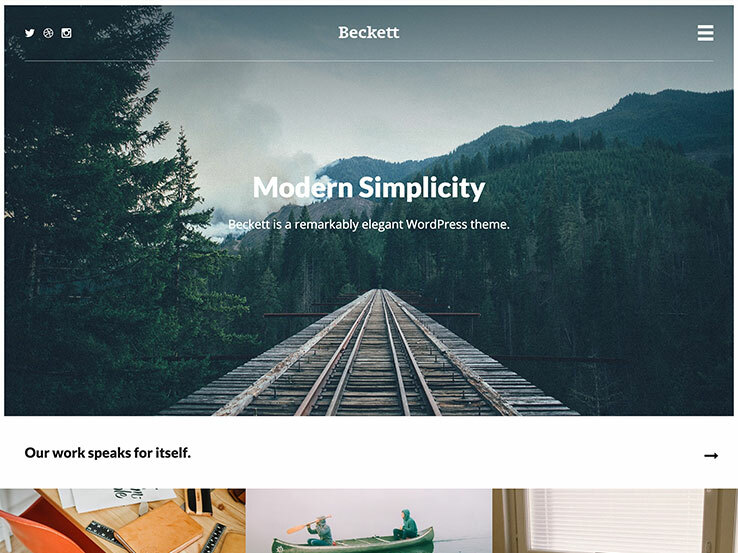 The Beckett theme comes from Theme Trust and it provides a responsive layout that looks stunning on any device. 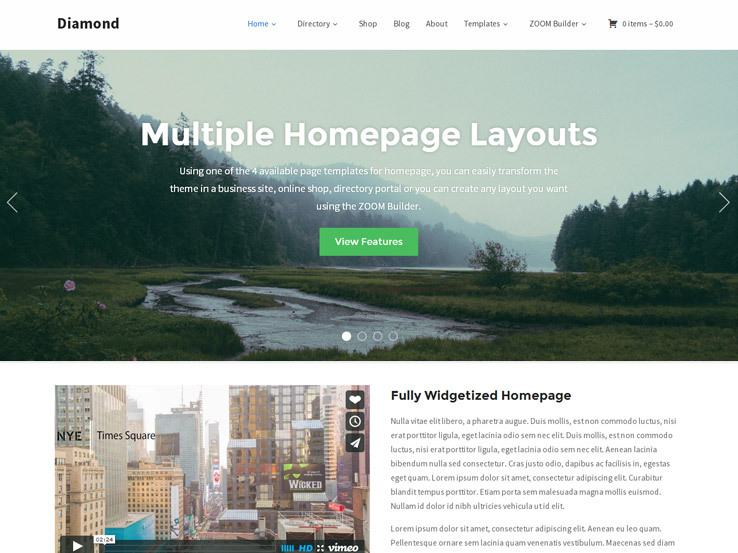 The theme comes with tons of shortcodes for building slideshows, a big homepage slideshow, and for displaying testimonials. The video support is ideal for showing off your YouTube and Vimeo videos. Not to mention the filterable portfolio which works wonders for those interested in displaying work for future clients. Everyone likes a quick logo upload, and this theme has just that. Custom widgets allow you to customize your site with ease. Skywalker is a photography, blog, or business theme, designed to be streamlined and responsive. It has image sliders with smooth transitions to showcase your latest works. It has a slider for your main page to display thumbnails, filterable and customizable portfolios, recent posts, and custom widgets you can set yourself. It has a drop-down menu with social media links and a search bar, helping your visitors find what they’re looking for and increasing exposure to your site. It has direct Flickr integration, allowing you to display your galleries directly on your page, along with Google Maps integration for when you need to display your location. It also includes an AJAX contact form so readers can send you a message without having to reload the page. Built-in shortcodes help create your page elements with ease. Plenty of theme options allows you to customize the design and features of your website, sorting your options into categories to help you find the options you need. It’s tested to work across all modern browsers and the simple but functional design makes this a perfect theme for modern blogs and businesses. 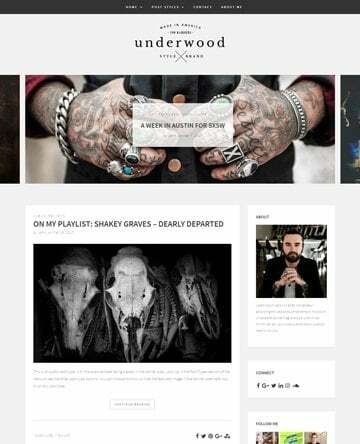 Check out the Universe WordPress theme if you’re looking for a sleek, playful theme with plenty of customization tools. The theme has lots of white space to keep the focus on the content, and it provides a beautiful portfolio area which can be used as a storefront as well. Galleries are included and social media buttons are a great addition to build your social media presence. Your users will never get lost thanks to the search bar. 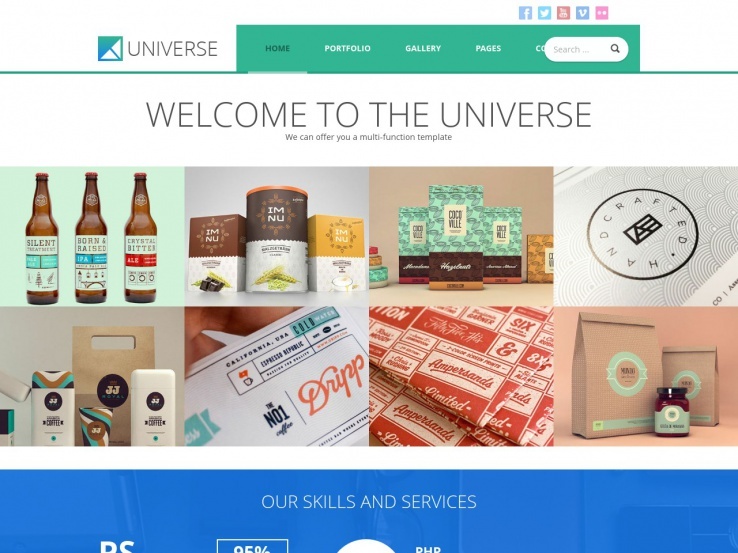 The Universe WordPress theme is packed with options for widgets. Collect emails with a subscription form or share your latest tweets in the footer area. Add contact information or share your Flickr photos if you have a more visual blog or company. Tesla Themes is known to provide a wide variety of lightweight, effective themes and that’s why this one is one of the best of the year. The contact page comes with a map and icons so that users can quickly understand where you are and give you a call if needed. The custom background and logo are nice for branding and the social sharing buttons boost the effectiveness of your blog. Custom widgets are included and the responsive design looks great on mobile devices. This theme also has a featured slider for showing post images, along with a filterable portfolio, to show relevant work to potential clients. Several built-in shortcodes enable you to quickly generate elements like buttons and columns and the AJAX contact form ensures that your site doesn’t lag just because of a contact form. 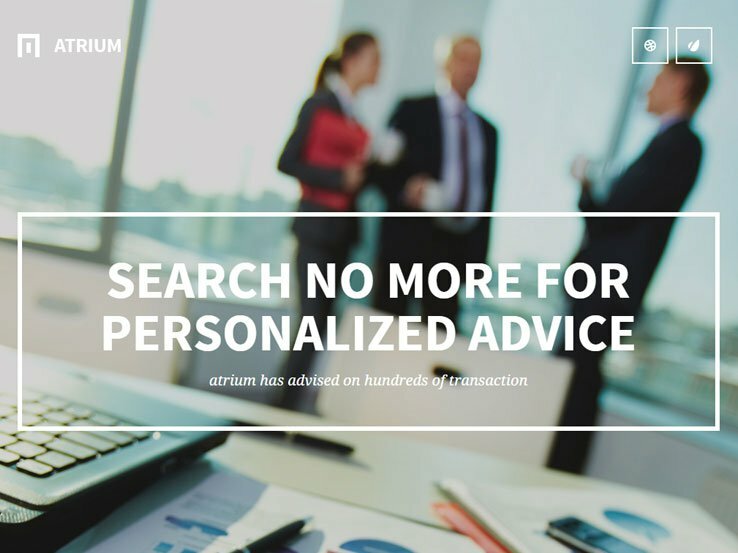 The Atrium theme is a quality choice if you’re looking for a theme that features all of the content on one page. 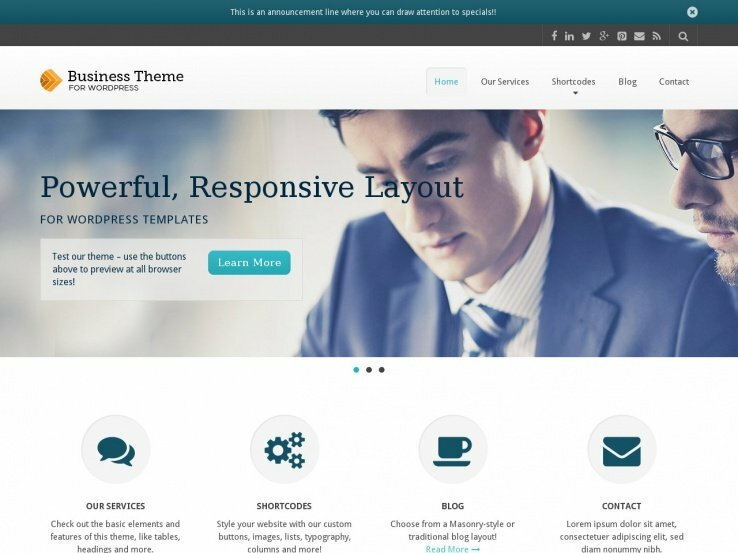 This theme is 100% responsive and it has unlimited color options to customize your website. The theme options panel is pretty easy to use for beginners and the advanced users can go and tweak CSS and HTML. An AJAX contact form is included with the theme along with a beautiful sticky menu which keeps the navigation easily accessible. The top part of the homepage consists of a huge image with parallax effects and overlaying text. You may even want to include a button to serve as a call to action and direct people to your sales or service pages. This is generally used as a portfolio theme since it offers filters and sleek thumbnails, all of which lead to other pages with more information about your past work. Consider sharing details about your team members accompanied by photos and links to social sites and titles explaining what they do at your company. You’ll also see that several other page templates are packaged into the Atrium theme. You can design a pricing page for your software, or even implement an FAQ page to help your customers. Testimonials are rather popular with companies that choose this theme and the blog looks wonderful in terms of design and usability. A contact form is available so your customers can send you emails and the social media buttons are included to help you build your social media presence. Baylie comes from the ThemeTrust family so you know that a team of quality support representatives is there to help you out. The theme has a responsive layout for the ultimate mobile interface. 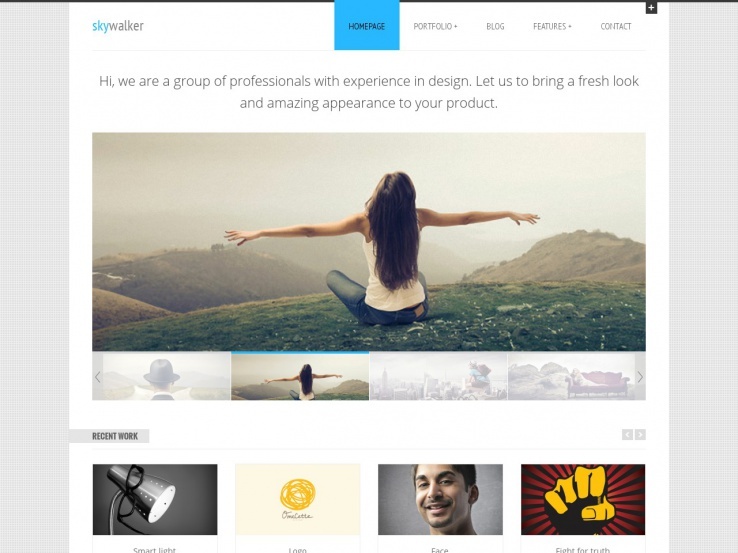 This is a multipurpose agency theme with a wide variety of parallax features. You can grab the attention of your customers with stunning effects while also using the parallax animations to show off pictures. The fullscreen slideshow is a standout feature giving you a versatile option for displaying information about events, promotions, and more. The slideshow shortcode means that you don’t have to worry about customizing code while the custom widgets generally reside in places like the footer and sidebar. Upload your logo from the backend to build brand recognition. The localization support makes it easy to translate your website while the filterable portfolio has the tools for showing off your past work. Testimonials are available preventing the need to format your own quotes from past customers. Several other shortcodes come along with the theme. You can make columns with lists of your services. It’s a great idea to pair this with icons for a more visual look. Video support works well for explaining what your company does but you can also consider making product or service videos. 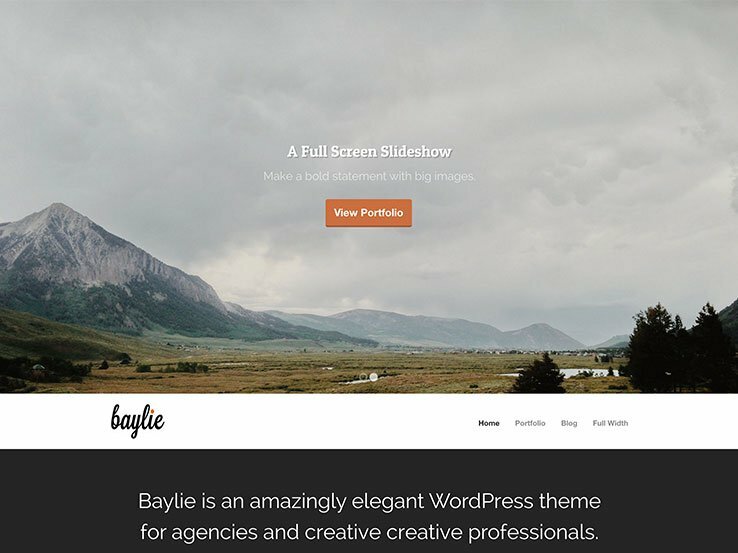 Along with page templates, button shortcodes, and Google Web Fonts, the Baylie WordPress theme is a great choice for any business. 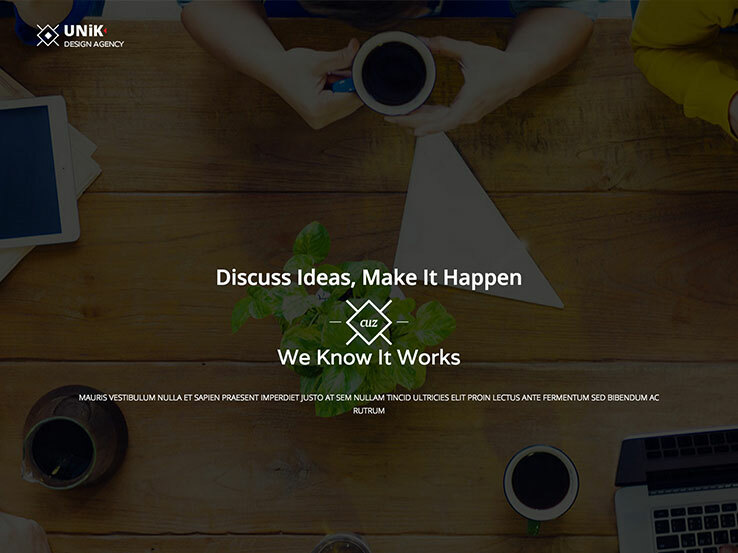 Unik is a multipurpose theme that would be best suited for a creative agency, a freelancer or a business website. It has stunning parallax animations which add visual appeal to your website without slowing it down. It also includes various animations which draw visitors’ attention to specific parts on your website. The theme includes a full-width slider which you can use to showcase your company or your products. You can also provide a full list of your services highlighted with icons and share testimonials from past customers. Feature members of your team or your partners along with their headshot, title, bio, and their social media profiles. Several animated counters are offered so you can demonstrate your skills in a more visual way. The theme comes with several premium plugins included for free. One of the is the Revolution Slider which allows you to create slideshows with beautiful animation and transitions effects and the other is the Visual Composer plugin. The Visual Composers provides you with a drag-and-drop interface so you can easily drag different elements to a place on your website where you want them to appear. On top of that, several shortcodes are included so you never have to delve into the source code. The theme runs on Tesla Framework which has all the customization tools necessary to integrate your brand with your website. Along with responsive design, filterable portfolio, and translation-ready files, the Unik theme has everything you need for your website. The Diamond theme comes from the folks over at WPZoom and it’s a great choice for a directory website. The theme features a full-width slider along with text overlays and call-to-action buttons so you can easily send visitors to different areas on your website such as sales or landing pages. The standout feature is the widgetized homepage which means all you have to do is drag and drop widgets into place to get them to appear on the homepage. The theme also supports WooCommerce so you can easily turn your website into an online store. 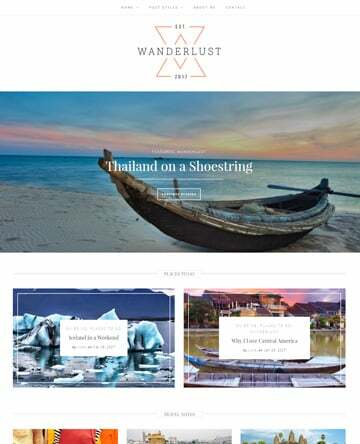 Several page templates are available to provide some variety in your design and the entire theme is responsive so it will look great on just about any device. With the advanced Theme Options Panel, you can easily customize every detail of your theme to best suit your needs. A blog layout is also included so you can share valuable content with your audience and improve your search engine rankings. On top of that, the theme is fully SEO optimized and translation-ready which means your can expand your reach to a global audience.